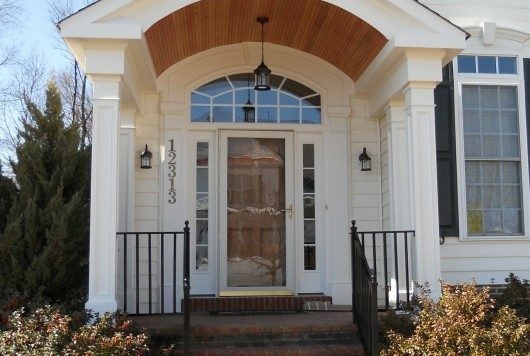 A portico is a small porch roof built over a front entry door. 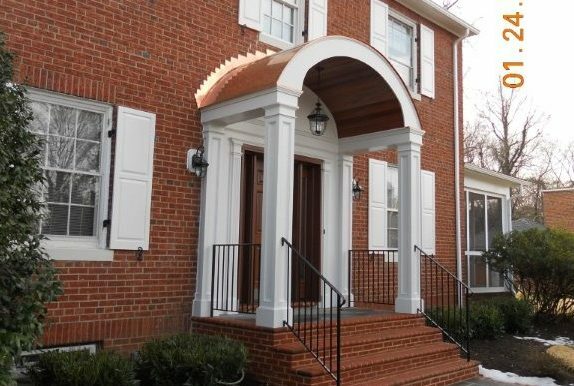 Porticoes are both useful and decorative. They shelter people entering a house from sun and rain, but also provide an attractive and often elegant feature to an otherwise bland house front. 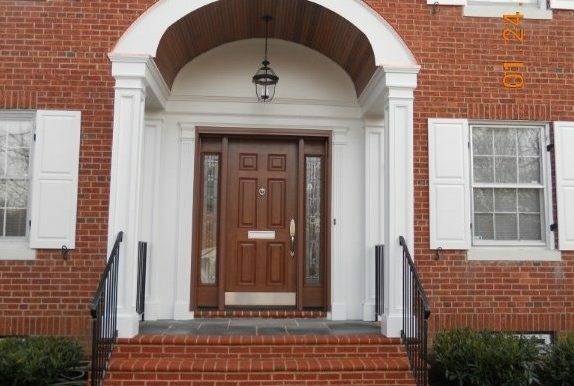 They are common on Colonial houses, a common style in Northern Virginia and the Metro DC area. 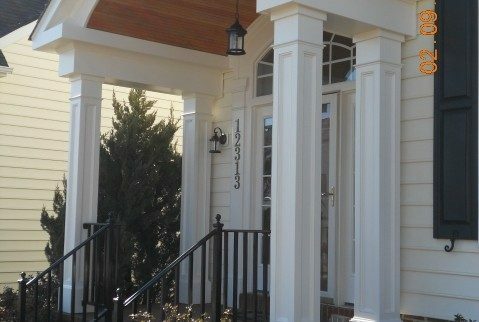 Colonial Remodeling LLC’s team of experts design and custom-build porticos to enhance the curb appeal and utility of your home. 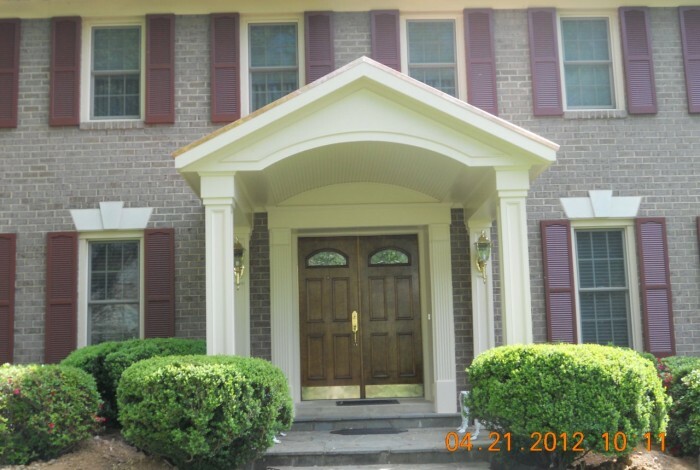 For the ultimate new portico, Colonial Remodeling LLC can craft a custom-design with a new cement slab (with or without a slate or tile veneer), or a pressure-treated landing covered with a framed structure finished with a selection from our quality, low-maintenance siding, trim, and roofing materials manufacturers. Or, we can simply update your existing front landing to a new, low-maintenance, covered structure designed for your home. Our innovative products and seasoned staff of professionals allow endless possibilities to design and create a custom portico or entrance ways. Drawings – Colonial Remodeling will provide new portico design and existing elevation drawing for homeowner approval prior to construction. Permit – We will apply for, obtain and pay for all necessary building and electrical permits prior to construction. Inspect existing stoop to determine if underpinning is required. If a code compliant footer is not in place, Colonial Remodeling can perform underpinning to bring the stoop into compliance. 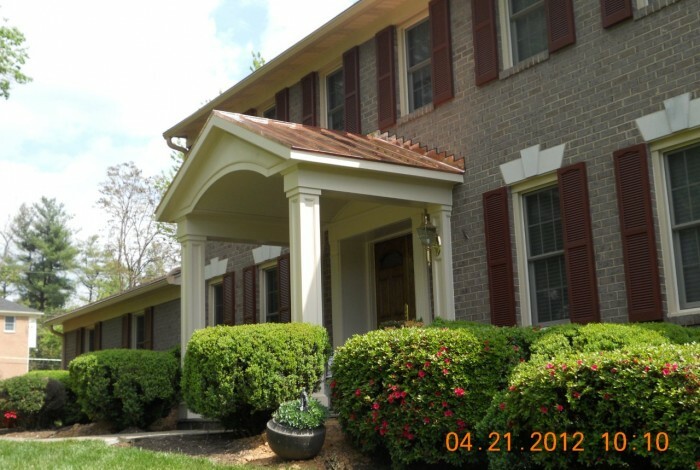 Frame up complete portico design per agreed upon drawing provided by Colonial Remodeling. Rough in for electrical material/labor. Roofing to match existing shingles – or upgrade option to steel or copper roofing. Trim out, paint and/or stain. Manage all county required inspections (foundation, framing, electrical and final). 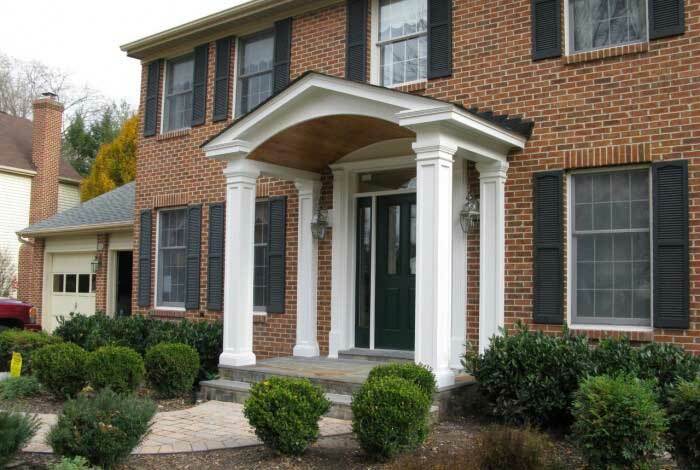 For more information on how Colonial Remodeling can help you add a visually stunning and useful portico to enhance the appearance and enjoyment of your home, contact us today for a FREE ESTIMATE.